Powerful LED torch with different functions. 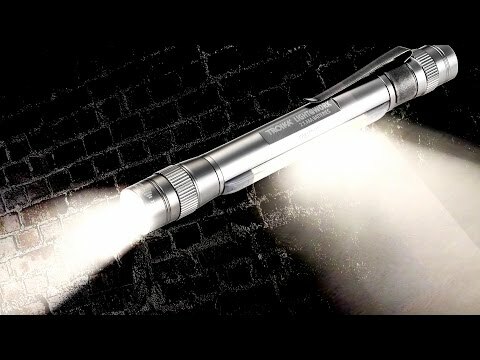 Made by quality German company Troika, this smart weather resistant LED torch with 4-fold zoom is made from aluminium and steel. With a powerful 3 watt white light, there are four light functions: two light strengths, full and half, a flashing light and a work light. Operated with a single push button, throws an impressive light circle and perfect for engineer types or enthusiastic gadget lovers.